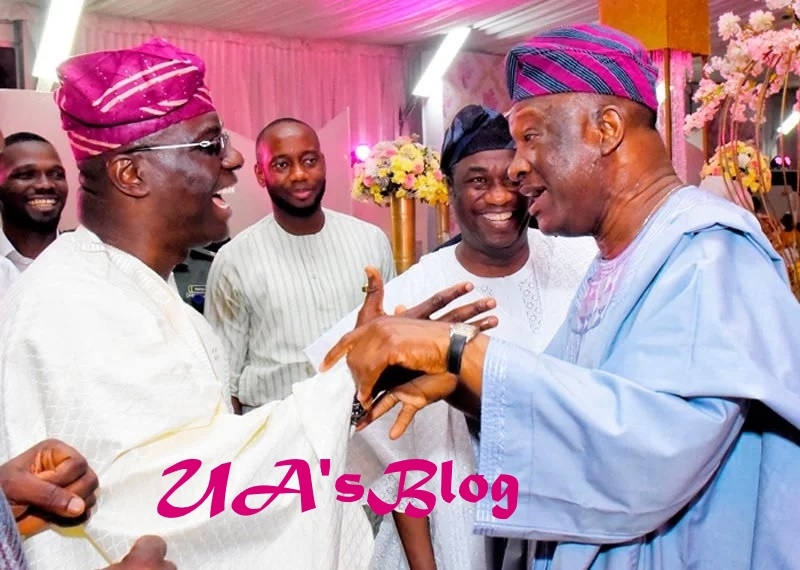 Babajide Sanwo-Olu, the All Progressives Congress (APC) governorship candidate in Lagos and Jimi Agbaje, his Peoples Democratic Party (PDP) counterpart, met at the weekend. The two top contenders for the gubernatorial election in 2019 were guests of the popular Shodipo and Dosekun families in Lagos. As they exchanged pleasantries, Sanwo-Olu’s running mate, Obafemi Hamzat, joined. The scene caught the attention many in attendance who stared in admiration and also took pictures. Campaigns will kick off on Sunday November 18 as earlier announced by the Independent National Electoral Commission (INEC). Meanwhile, Sanwo-Olu has assured of his commitment to use technology to solve social and governance problems if elected. Speaking at the Digital Lagos event, he said his government will work in partnership with the technology sector to solve social issues such as creation of employment opportunity, mentoring, entrepreneurship, education, health, transportation and to also improve the revenue profile. ‘‘I’m aware that technology is the oil of today. Some ten years ago, the richest companies in the world were oil and energy giants, but the tide has changed. “What we have today are technology companies dominating the global economic space. With technology, transparency and accountability in government become easier and possible. “Technological innovations are helping social enterprise address social problems. Tech is accelerating SME evolutions and the impact of this is positive on the economy, which gives everyone a share of the prosperity created by this system,” Sanwo-Olu added.